We flew into Lisbon and immediately rented a car to drive to the edge of the Earth and the beginning of the world. This edge has a name: Cabo de Sao Vicente. A small cape jutting into the Atlantic Ocean, it is the bitter end of Europe. Beyond this point, the world was once unknown to Europeans, becoming a realm inhabited by legends of sea monsters and fantastic civilizations. Cabo de Sao Vicente still makes you feel these fantasies are more than realistic. Even on a bright sunny day, the sea is forbidding and the wind howls at you, while on a gloomy day you peer into the abyss. Just 3 miles west of Cabo de Sao Vicente at the base of the Ponta de Sagres lies Sagres, a pleasant little town of small villas and apartments. For the most part, these are summer homes, many owned by Germans and British, judging from the flags flying. It was here in 1410 that Prince Henry the Navigator founded a school for navigators. If Cabo de Sao Vicente is where the Earth ended for the Europeans, Ponta de Sagres became the place where the world began. Prince Henry was the second son of Portuguese King John I. As a member of the royal class, he had the means to finance his ambitions. Those who attended his school included Vasco da Gama, who made the first voyage from Europe to India, and Magellan, whose expedition first circumnavigated the globe. Columbus was once shipwrecked and rescued off the coast, subsequently learning many of his later nautical skills in Portugal. This school gave rise to the most extraordinary alumni association imaginable. How prosaic business opportunities generate the most risky and grandiose undertakings has come to interest me. This school arose with the specific goal of training sailors to go farther and farther south along the African coast in search of a sea route to India. The Portuguese sought this route to cut out the middleman in the spice trade. Spices were wealth in Europe; they preserved and seasoned food, and were considered medicinal and even aphrodisiacs. But they were fiendishly expensive, since they came to Europe via the Silk Road through Muslim-controlled territory, with each merchant along the way increasing their price. Henry didn't just train seamen, he also financed explorations. During the 15th century, year after year, ships went out. Many, even most, never returned, but all of them pushed just a bit further south. Each voyage produced logs that Henry collected, collated, studied and relied on when planning future expeditions. The more I learn more about Henry, the more his program reminds me of NASA and of Tom Wolfe's classic, The Right Stuff, about America's space program. Like NASA, each mission built on the last, trying out new methods in an incremental fashion. Henry didn't try to shoot to the moon, as they say. He was no Columbus, risking everything for glory, but rather a methodical engineer, pushing the limits a little at a time and collecting data. His school has long since disappeared along with his palace. Only a single round marker on the ground remains, perhaps 30 feet wide, segmented in equidistant lines emanating outward to a circle. There is speculation that this is a sundial or a wind gauge of some sort. It could also be nothing; scholars never find an object that isn't filled with meaning, oftentimes religious. Of course, the physical remains of his school don't mean much. History was made here. It was the place where Europe discovered the world, not only in the physical sense, but also in the direct encounters over time with the myriad cultures that made up the world. Europe wasn't kind to the world it discovered. But over time it did force each culture to become aware of all the others; after centuries, a Mongol student might learn about the Aztecs. Instead of a number of isolated worlds, each believing itself to be the center of the Earth, each new discovery fed the concept of a single world. On this cape, early in the 15th century, well before Columbus sailed, Henry planned Europe's assault on the world. In the process, he laid the foundation of the modern world and modern Europe. Standing on the cliffs overlooking the Atlantic, even on this cheerful day, it is possible to imagine the courage it took to sail into probable death. I can't help but think of the voyages of astronauts and cosmonauts, one part dispassionate engineering and science, one part pure hubris. The Americans and Russians, not the Europeans, undertook space programs. Europe got in late and never launched a manned flight. There are those who say that we can explore space with unmanned rockets. That may be true, but we cannot own space, we cannot claim it that way. If Henry created his school solely for knowledge, then perhaps sending messages in a bottle and waiting for a reply would have done that. But Henry, the prince who became a monk, also acted for wealth, God's glory and to claim his place in history. Today, we have entered a phase of history where the buccaneering spirit has left us. The desire for knowledge has separated itself from the hunger we have for wealth and glory. Glory is not big today, cool is. Cool does not challenge the gates of heaven, it accepts what is and conforms to it. This is a passing phase, however. Humans will return to space to own it, discover unknown wealth and bring glory. The Wright brothers made bicycles, in those days not cool and certainly not glorious. Their heirs "touched the face of God," as John Gillespie Magee put it in his poem High Flight. Like Kipling, scholars do not regard Magee as a serious poet. Perhaps they are right, but he still captured something lesser poets of the inner neuroses failed to capture: a way to speak of glory. Out in West Texas and other desolate places, private companies -- privateers -- are reinventing the space program. They are searching for what Henry sought -- namely, wealth and glory. Like the pioneers of flight or Columbus, they might be a little mad, much too hungry and filled with hubris. But like Henry's explorers, they will take a government program and transform the world while making themselves and their country rich. These are extreme thoughts, but Sagres makes you wild if you let it. What was done here staggers the imagination and causes me to hunger for more. Certainly, European imperialism brought misery to the world. But the world was making itself miserable before, and has since: One group of people has always been stealing land from other groups in a constant flow of history. What culture did not live on land stolen from another culture, either annihilated or absorbed? Ours has always been a brutal world. And the Europe Henry founded did not merely oppress and exploit, although it surely did those things. It also left as its legacy something extraordinary: a world that knew itself and all of its parts. It is odd to be thinking of Europe's legacy while sitting here in Portugal. Only the dead leave legacies, and Europe is not dead. Yet something in it has died. The swagger and confidence of a great civilization is simply not there, at least not on the European peninsula. Instead, there is caution and fear. You get the sense in Europe -- and here I think of conversations I had on previous trips in the last year or so -- of a fear that any decisive action will tear the place apart. Eastern Europeans are wondering what happened to the European Union and NATO, their twin guarantees of never having to worry about anything again. Western Europeans are worrying about how to return to the smug satisfaction of a prosperity that has disappeared. There is a great deal of discussion about Europe's economic crisis and finding a way to return to the lost promise of the European Union. But what was that promise? It was a promise of comfort and security and what they called "soft power," which is power without taking risks or making anyone dislike you. The European search for comfort and safety is not trivial, not after the horrors of the 20th century. The British and French have given up empires, Russia has given up communism, Germany and Italy have given up fascism and racism. The world is better off without these things. But what follows, what is left? I am not talking here of the economic crisis that is gripping Europe, leaving Portugal with 17 percent unemployment and Spain with 26 percent. These are agonizing realities for those living through them. But Europeans have lived through more and worse. Instead, I am speaking of a crisis in the European soul, the death of hubris and of risk-taking. Yes, these resulted in the Europeans trying to convert the world to Christianity and commerce, in Russia trying to create a new man and in Germany becoming willing to annihilate what it thought of as inferior men. The Europeans are content to put all that behind them. Their great search for the holy grail is now reduced to finding a way to resume the comforts of the unexceptional. There is something to be said for the unexceptional life. But it cannot be all there is. Looking out a window at the cape on which Henry's school was built, it is difficult to connect today's Europe with his. His was poorer, more diseased, more unjust than this one. Life was harder and bleaker than we can imagine. As someone closer to the harder and bleaker side of Europe than to its glories, I can understand not wanting Europe to go there again. But there is no one without guilt, especially those who carefully catalogue the guilt of others. It is also impossible to imagine a truly human life without the hunger hidden inside the princely monk Henry. We humans are caught between the hunger for glory and the price you pay and the crimes you commit in pursuing it. To me, the tension between the hunger for ordinary comforts and the need for transcendence seems to lie at the heart of the human condition. Europe has chosen comfort, and now has lost it. It sought transcendence and tore itself apart. The latter might have been Henry's legacy, but ah, to have gone to his school with da Gama and Magellan. 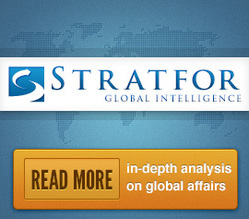 George Friedman is chairman of Stratfor. Reprinted with permission.